Following intense pressure by the National Highway Traffic Safety Administration, Takata recalled over 30 million of their frontal airbags. The Takata airbag recall has been classified as the largest and most alarming recall in history. According to NHTSA, the Takada airbag defect was detected in the airbag's inflator. In the event of a crash, a signal triggers the inflator. Once this happens, the inflator sets off a reaction causing propellant to emit gas. This gas rapidly inflates the inflator, and the airbag is deployed. In the case of the Takata airbags, the propellant ignites faster than usual. When this happens, the inflator ruptures and causes shrapnel that shoots at the passengers. The defective airbags were both on the driver's side and the passenger side. This defect has been responsible for severe injuries and even death. The airbag defects have led to the loss of life and injured many. Had Takata taken more time to test their airbags and heed warning signs that their airbags were defective, the airbag crisis could have been avoided. Takata became an airbag inflator manufacturer back in 1991. In 2001, the company stopped using Terazole in the propellants and instead switched to ammonium nitrate. Two years later, the first case of an inflator rupturing was recorded in Switzerland. The car involved was a BMW. The second case was reported in Alabama in 2004, this time the vehicle affected was a Honda. In 2007, three more incidents were reported all involving Honda vehicles. NHTSA opened investigations into the airbags in 2009. Takata only took action in 2013 when they made regional recalls. NHTSA served Takata with a letter demanding that they make a public acknowledgment of the defects in their airbags. Takata did not honor this request. Instead, they cited that there was not enough data to warrant a public response. In 2015, NHTSA demanded a fine of $200 million from the company for violating motor vehicle safety. It was this move that forced Takata to expedite the recalls and make repairs. The $1 billion payout and hefty legal fees forced Takata to file for bankruptcy. The move was to slash its debts while working an agreement to sell their assets to a different company. Currently, the recall rate is at 42 million, and this is expected to go on in the coming years. Takata's airbags defects affected about a quarter of the vehicles used on U.S roads. The defects have led to several deaths and numerous injuries. Part of the criminal settlement required that Takata deposit a $125 million fund with the U.S Justice Department. The money will go towards compensation for the affected families. Automakers are responsible for making the repairs on the defective airbags starting with cars in the hottest climates. Takata issued recalls based on temperature and humidity. Priority was given to humid and hot areas because they are more susceptible to exploding due to the fiery shrapnel. The recalls were classified into zones as described below. The areas in this one are the less hot and humid regions. These include Arizona, District of Columbia, Delaware, Kansas, Illinois, Indiana, Missouri, Kentucky, Maryland, North Carolina, Nevada, New Jersey, Nebraska, New Mexico, Tennessee, Oklahoma, Virginia, Ohio, Pennsylvania, and West Virginia. Zone C was the last zone for the recalls because these areas are least hot and humid. Zone C areas included Alaska, Connecticut, Colorado, Maine, Idaho, Michigan, Montana, Massachusetts, Iowa, Rhode Island, North Dakota, South Dakota, Wyoming, Washington, Utah, Vermont, and Wyoming. Is My Vehicle Affected By The Recall? The vehicles recalled for the defective airbags include Honda, BMW, Ford, Chrysler, Mazda, General Motors, Toyota, Mitsubishi, Subaru, and Nissan. If your vehicle has been recalled, you should get a notice from your car's manufacturer. Car owners who have not received the recall notice and are concerned about the safety of the airbags should use the NHTSA recall tool to check whether their vehicle is included in the list. NHTSA has also recommended that car owners make use of the VIN Look-Up Tool and check if their car has been recalled twice in every year. NHTSA signed a consent order with Takata based on the zones. There is a possibility for a future recall on your car, and you need to check every year. For future notifications, car owners can sign up on the NHTSA site for alerts. It is imperative that car owners update their current address information to make communication faster and easier in case there is a recall on your vehicle. In the Takata airbag injury lawsuits, lawyers representing the victims cited that some of the automakers were previously aware of the airbag defects. The story was aired in the New York Times. It was also cited that Takata carried out tests on their airbags back in 2004. Following the tests, the manufacturers and executives were notified of the deadly shrapnel emitted. According to the NYT, the executives issued an order to halt the testing and to destroy the evidence that was collected. Following the Takata Airbag Injury Lawsuits, the company pleaded guilty to criminal charges and agreed to pay $1 billion in the form of penalties. The money was to cater for the people injured and the lives lost due to the airbag defects. If you or a loved one have suffered injuries as a result of the faulty airbags, you deserve compensation. Most of these injuries are life-altering and can have far-reaching consequences on the quality of life. The horrific injuries reported can impact your life in several ways. An injury lawyer will have the bigger picture in mind and help you get a settlement based on your current injuries and the impact of the same in the future. These lawyers have represented other victims like you before. In addition to this, the lawyers are also skilled in negotiations. Once you consult with a lawyer, they will examine the merits of your case and advice on the best way forward. If you are several victims, you can all be united in a lawsuit to make the process much faster. Your lawyer will organize for the joined lawsuit and make a case for all of you. Personal injury cases need to be addressed in good time. Victims must also seek medical reports from doctors. A lawyer will take you through the process and help you get the necessary documentation to prove your claims. Manufacturers of products hold a fiduciary duty to ensure that their products are safe. Airbags are designed to save lives. However, the reckless and negligent action of one company has led to the loss of lives and injuries from a product that was supposed to do the opposite. If you have been affected, you deserve compensation, and a Takata airbag recall lawsuit lawyer can help you. The Takata airbag recall is the largest and most devastating recall in the U.S history. According to the NHTSA, the defects affected vehicles from 19 automakers leading to 300 injuries and at least 23 reported deaths. The recalls are ongoing, and car owners are asked to check at least twice a year if their car has been recalled. The defects have left families grieving and in the corridors of justice, seeking compensation. You deserve compensation for what Takata took from you and your family. 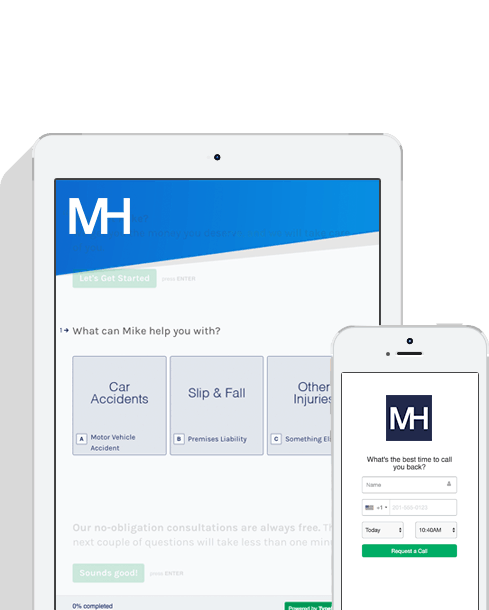 You can seek compensation with the help of a personal injury lawyer. Given that Takata pleaded guilty to criminal negligence in the Takata airbag injury lawsuits, then it is easy to prove liability in a lawsuit against the company. While this does not automatically prove guilt, it can be used to add credibility to your claim. The effects of the defective airbags are not over. There are still cars that are scheduled for a recall. It is important to keep checking if your car is scheduled for recall. If you are a victim, then having an injury lawyer represent you can make the compensation and legal process much faster.